Tuesday, the Dow tumbled. Everyone panicked. The MSM certainly helped with this. Soon after, the Dow rises to all-time high as investors embrace Trump. The Dow Jones industrial average hit a new all-time intraday of 18,873.6, and closed more than 200 points higher, with IBM and Goldman Sachs contributing the most gains to the tune of 34 points and 52 points, respectively. When Trump was elected, the Dow did drop a great deal. What the mainstream media failed to report was that this is a very common thing to happen. It happened when Obama was elected. 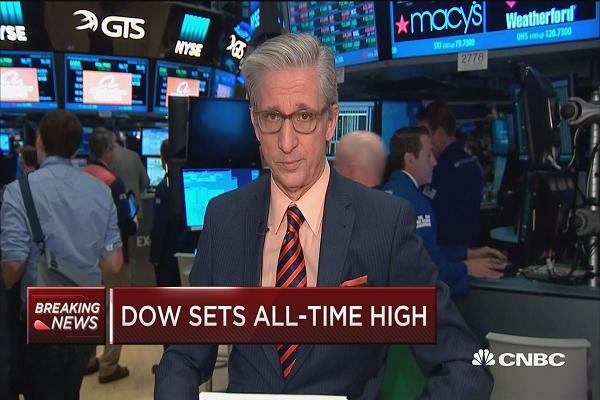 Things have went back to normal and as stated above, the Dow has soared to a record high. It will be interesting to see where the Dow goes here in the upcoming days and weeks. There is a strong possibility that a Trump presidency will allow economic growth and the Dow will continue to rise. Stay tuned to Daily Political Newswire and we will keep you updated.